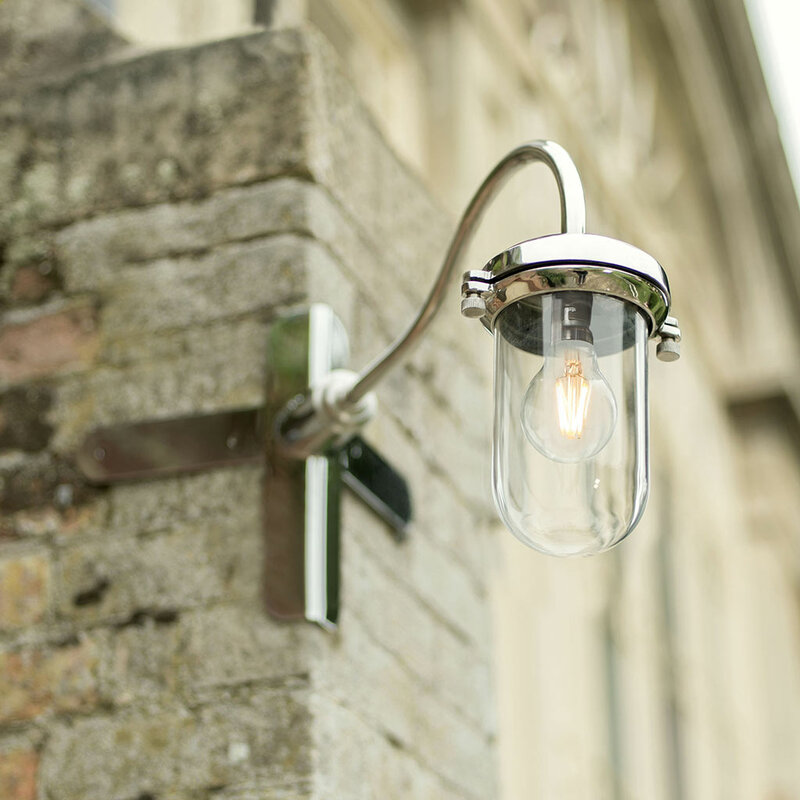 Bring a subtle, countryside charm to your outdoor lighting scheme with our elegant, long armed Stable Light that is corner mounted. Hand finished in high quality Stainless Steel, the Stable Light has a lovely long, vintage-style swan neck that was originally designed to keep out of the way of stable doors and horses’ heads! 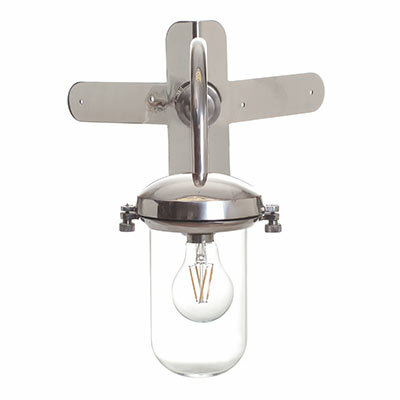 It is a robust, stylish design that incorporates a neat brass cap and hand blown clear glass shade to enclose the bulb and ensure it will withstand any storm. Jim Lawrence has worked hard over the past 20 years to build up an international reputation for producing elegant, high quality, outdoor lighting and we feel our Stable Light really encapsulates the company’s passion for stunning, period-look garden lighting. All of our lights are made using traditional metal working techniques and are hand finished to the very highest standards here at our Suffolk workshop. 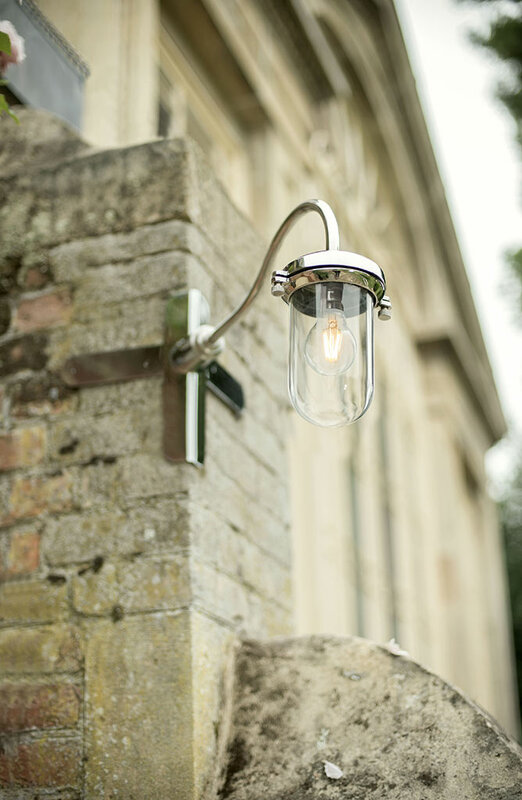 The details of the Stable Light’s design highlight the skill of our metal workers and their ability to make products that suit both contemporary and period properties. Our stainless steel is a high quality grade which is resistant to corrosion and therefore perfect for outdoor lighting. We polish ours to a high lustre to create a beautiful, hardwearing finish with a crisp, clean silvery patina that is beautifully reflective outdoors. It works particularly well with other metals such as Nickel or our Polished Lacquer and gives a contemporary edge to your lighting scheme. To find out more, please explore our product finish page. 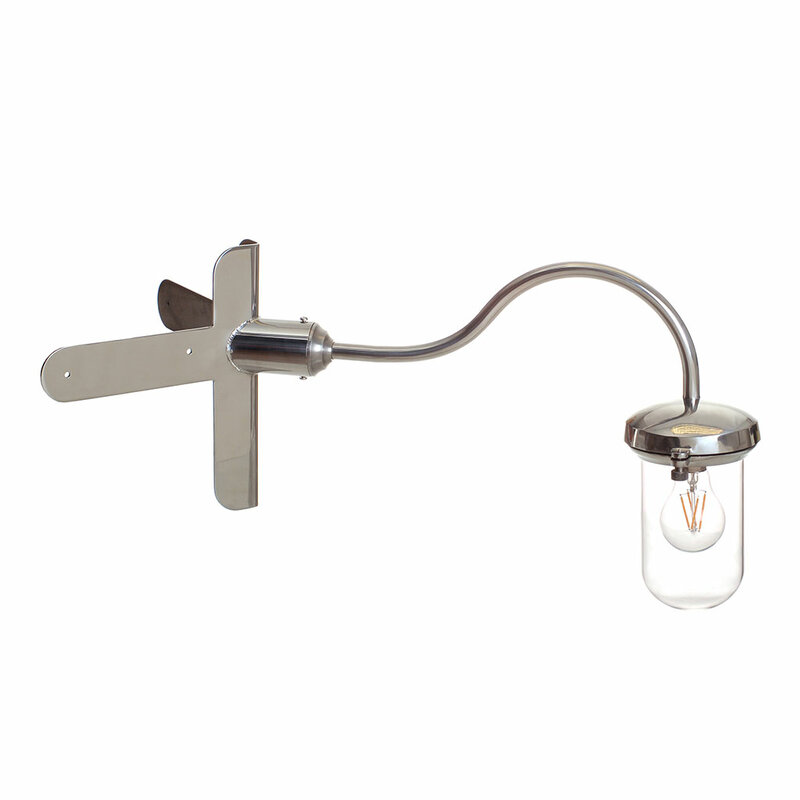 The Stable Light is also available as a flat mounted version and takes a standard bayonet bulb (BC, B22). It is IP rated 44. 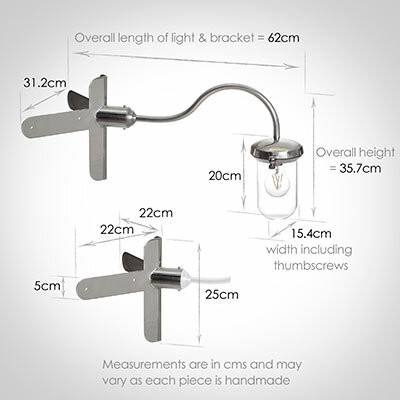 For more information about the meaning of IP ratings, please read our ‘Guide to Safe Bathroom Lighting’. 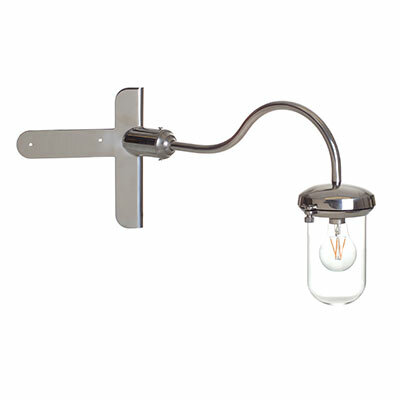 We recommend our Classic GLS LED bulb as the perfect accompaniment for your light. Incorporating the latest low energy LED technology, the bulb gives off a warm white light, lights to full strength immediately and has a lumens (brightness) of 806 (equivalent to a traditional 60W bulb). Bulb Fitting Options: Can be supplied with an E27 (large Edison screw) bulb holder for Europe on request.